With this gift, the name says it all. 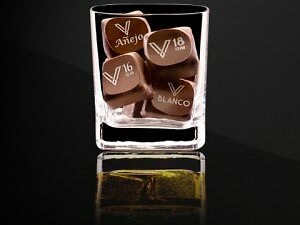 Twice The Vice Spirited Chocolate brings together two of the things we love most in this world: chocolate and alcohol. But this isn't just your old fashioned liqueur-filled candy. Twice The Vice comes in flavors so intriguing -- and has enough alcohol to make you feel like you've actually had a drink-- that it's not even for sale in some states (sorry, DC). 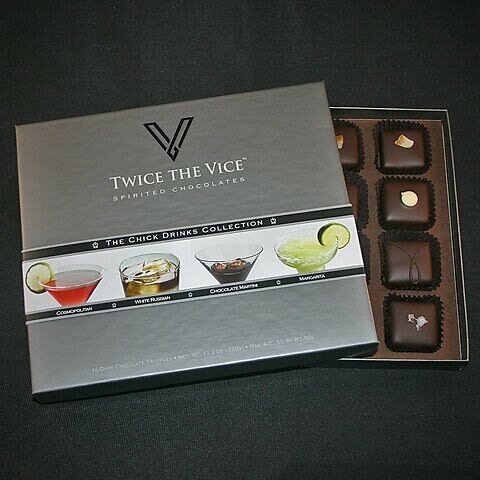 Celebrate any holiday in style with Twice The Vice, where flavors like Mint Julep, Margarita, and White Russian make the perfect delicious gift for any occasion. A box of nine pieces of the line's classic cocktail collections cost $28, but if you're buying this for a girls night out Twice The Vice has the product for you. Try the Chicks Drink Collection, where you can channel your inner Carrie Bradshaw with flavors like Cosmopolitan and Chocolate Martini. A box of 16 pieces from the Chicks Collection costs $44. It's never been easier to hide your alcohol than with Twice The Vice Chocolates...and indulging in some dark chocolate certainly more delicious than taking a few slurps from a flask! Read more about Twice The Vice HERE and buy some of the candies HERE.